Natural Gas is a green energy resource that can help our nation become less dependent on foreign oil supplies, and help the world reduce carbon emissions. In the United States, there is an increasing trend in power generation and utility companies switching to natural gas, while developing weather dependent renewable energy technologies like solar and wind power. 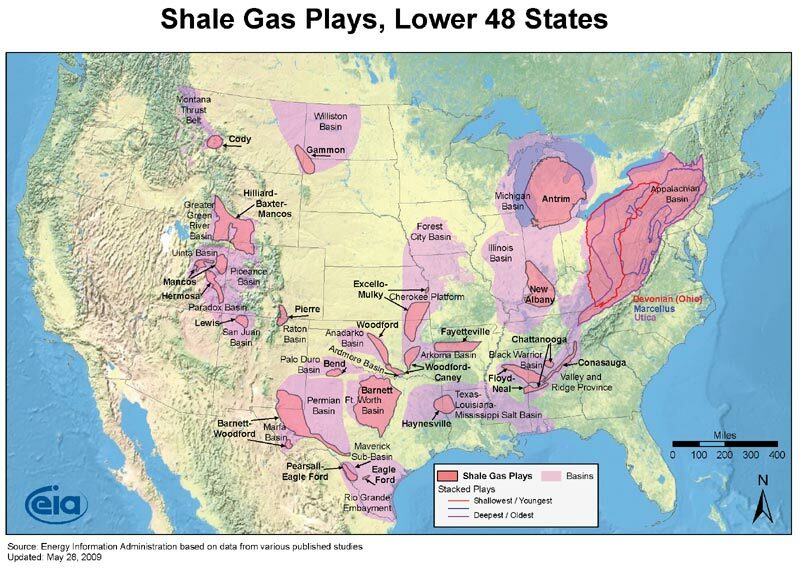 Despite the large energy benefits of developing natural gas reserves, there are government agencies and citizen groups that strongly oppose the drilling process hydraulic fracturing or “fraccing,” which creates problems in water supply and disposal of contaminated water. FracPure™ Produced Water Remediation was specifically developed to solve these water problems. FracPure™ is the World’s only complete water management solution for the natural gas industry. The FracPure™ process solves problems in water supply and disposal of frac water, flowback and produced water allowing natural gas companies and our nation reap the benefits of this massive energy source. Natural gas is the cleanest of all the fossil fuels, and is increasingly incorporated into generating electricity for power plants and industrial applications. This is due to natural gas providing an efficient and competitively priced fuel for the producing of electricity, and having one of the largest domestic supplies in the world. When combusted, natural gas emits 30% less carbon dioxide than oil and 45% less carbon dioxide than coal. 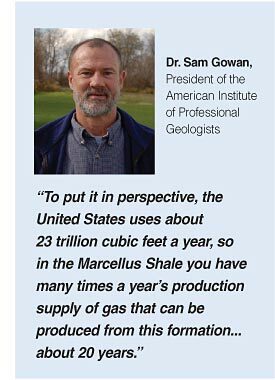 Committee (PGC) and the Department of Energy the United States has an estimated total future supplies of 2,074 Tcf (Trillion Cubic Feet) of natural gas. 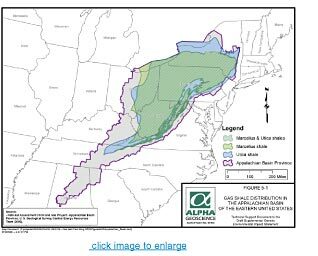 based in the Marcellus Shale, but as FracPure™ becomes synonymous with cost effectiveness and environmental soundness we will expand wherever the solution is needed. 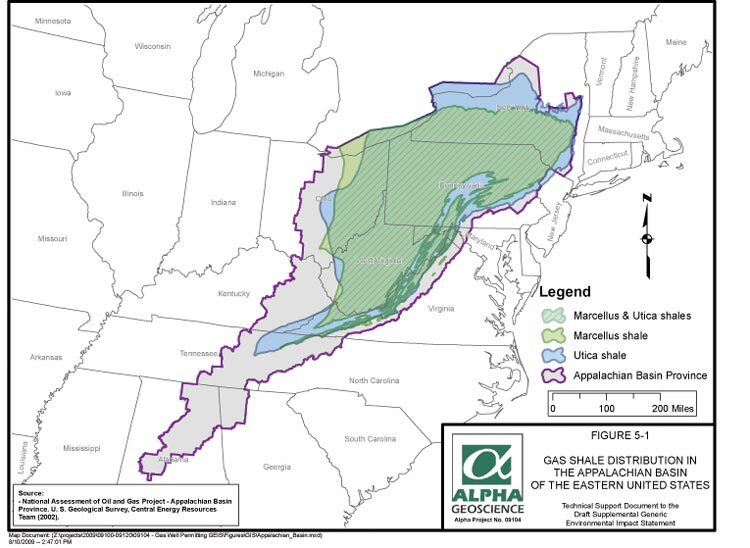 One of the largest natural gas reserves in the world, the Marcellus Shales stretches from southern New York, through Pennsylvania, to Ohio and West Virginia . The recoverable reserves are estimated at 575 trillion cubic feet which could supply our nation’s natural gas needs for decades. 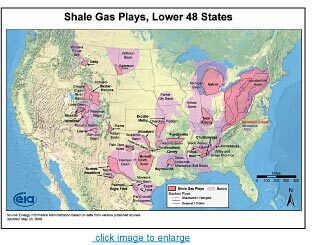 Developing this natural gas reserve holds incredible energy supplies. FracPure™ benefits the natural gas industry with cost effective and environmental solutions to water supply and disposal. This allows companies to profitably expand operations creating more jobs and tax revenues for municipal, state and national government service improvements.